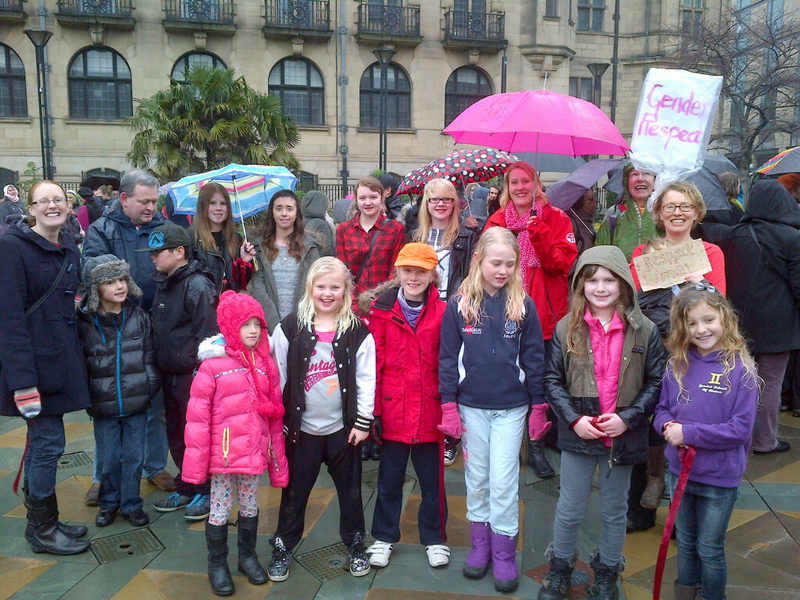 Gender Respect project teachers, pupils and parents joined with other people from Sheffield to celebrate One Billion Rising on Saturday 14th February 2015. Pupils had been introduced to the issue of gender-based violence through assemblies and lessons with the primary school linking the issue with their Rights Respecting Schools work. The pupils were taught the dance in school and invited to join the event in central Sheffield if they wished to. For a helpful article which links gender stereotyping in toys with violence against women see Let Toys Be Toys. Categories: Project Leader Blog: Helen, Uncategorized | Tags: dance, Gender Violence, One Billion Rising, Rights Respecting Schools | Permalink.